I’m Emma J, 40-something writer and Editor-in-Chief of Mayfair Mum from 2011-2014 and now here at Em’s Life After 40. I’ve also guest blogged here. I chose to leave full-time corporate life in 2010 after 15 years in professional services marketing and business development, hoping for a more balanced lifestyle while Mr J and I raise our son, The 9yo. I chose to pursue a new career largely due to the lack of part-time roles in my profession, so I’ve worked three days a week as an Executive Assistant in London’s West End ever since. A role which allows both of us time to make the most of our family responsibilities. 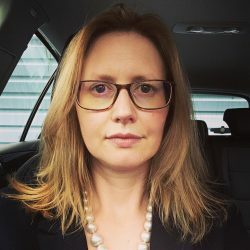 When The 9yo was a toddler, I missed the creativity of my previous marketing role, so set up Mayfair Mum, a parenting blog, with my laptop, my initiative and my desire to write and keep learning. In just three and a half years, writing about our experiences raising a Little Chap, I learned how to use WordPress and social media, indulged my love of writing, grew a substantial readership and built new relationships with bloggers and PRs as I reviewed and shared quality brands with my readers. Then, just before Christmas 2014, rain stopped play. My father had a massive heart attack and stroke and by the time I felt the urge to write again, the parenting platform I’d created didn’t feel like it fit anymore. However, sharing my experience with a friend on holiday this year, I realised how much I’d given up & how much more I have to offer (Many thanks, Marli!). So on 1 August 2018, Em’s Life After 40 was born! A lifestyle blog for others like me. Who’s like me, you ask…? Well, perhaps not completely unlike you…? We are living – Unafraid to admit to being in our mid-life, with hopefully as many good years ahead as behind, quality, healthy, real food is our passion, but we lack time to cook. Me, I prefer tea (but drink the occasional coffee), I’m loving the Gin Revolution but still enjoy a quality wine and love a cocktail – more than I can drink them and still walk a straight line! We love a new restaurant or bar as much now as before we had to negotiate the childcare! We love nothing better than to read a good book and listen to great music. We enjoy a great film, play, concert or show whenever possible but we’re also short on time, carefully allocating increasingly squeezed funds to the many demands of busy 40-something family life! We are loving – As “older” mothers, we’re passionate about our child/ren, their well-being and happiness, their personal development and education but enjoying helping them grow in independence to give us just a little more time for everything else! Wives/partners or girlfriends, wanting (but rarely finding the energy!) to be passionate for our other half but also to enjoy family time – ever increasingly precious as kids grow up faster each year – building treasured memories of fun times with loved ones when we can all relax and get away from it all. We’re “always busy” women. Managing a career, continually juggling employer needs with ours, with the inevitable guilt that comes from having it all. Balancing the demands of career, family, friends, home and local community and hoping to make a little time for us too! We are learning – 40-something women with full and busy lifestyles, we know we have to take care of ourselves first, physically and mentally. We’re learning to love the endorphin rush and results associated with regular exercise but if we’re honest, going to the gym still feels like another chore. Having to look our professional best for work we’re learning to invest in key pieces that build a hard-working capsule wardrobe to take us from office to rugby pitch and drinks with the girls but rarely find time to shop. The older we get, the more products we find in our bathroom cabinet, though we need a zippy, streamlined routine! Wiser women who have grown to understand that as that famous bear once said, we’re braver than we believed, stronger than we seemed and smarter than we thought. We’re women who get things done, whose goal for #LifeAfter40 is to focus on the good things, big and small. I hope you’ll find something for you here at Em’s Life whether wisdom, entertainment, ideas or friendship and I warmly invite you to rest up, make a drink, browse, read and enjoy! I reply to all comments however long it takes, so please stop and chat and please sign up – I won’t blitz your inbox – I’ll be too busy clearing my own!